The North American Aviation F-86H was a fighter-bomber variant of the famous Sabre Jet day fighter. 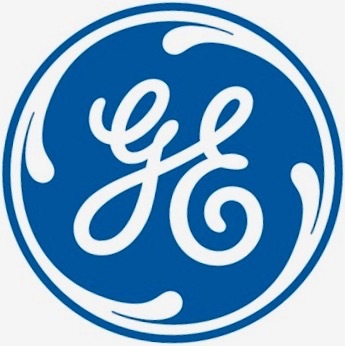 It was equipped with a much more powerful General Electric J73-GE-3 turbojet engine. The engine was larger that the J47 used in previous F-86 models, and this required a much larger air intake and airframe modifications. The fuselage was 6 inches deeper and two feet longer than the F-86F. This accommodated the new engine and an increase in fuel load. The tail surfaces were changed with an increase in the height of the vertical fin and the elevators were changed to an “all-flying” horizontal stabilizer. The first F-86Hs built retained the six Browning AN-M3 .50 caliber machine guns of the F-86F, but this was quickly changed to four Pontiac M39 20 millimeter revolver cannon. 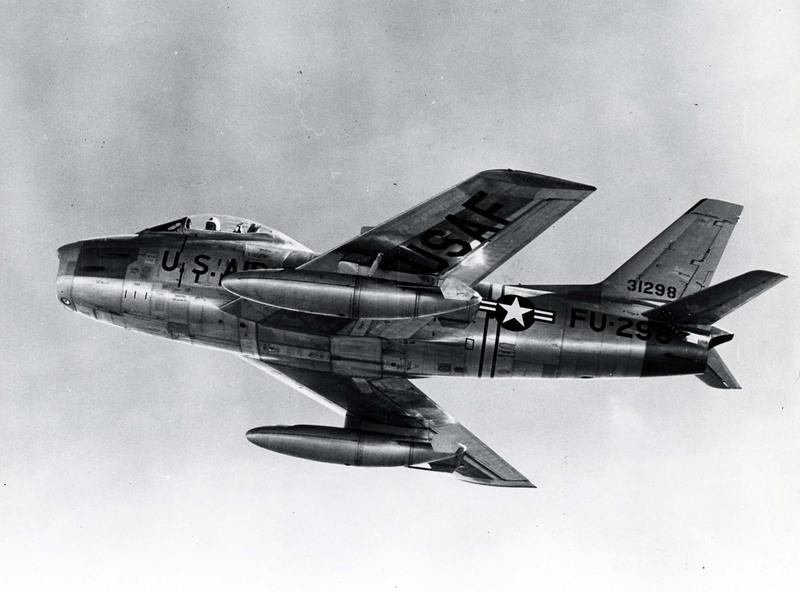 The F-86H Sabre was 38 feet, 10 inches (11.836 meters) long with a wingspan of 39 feet, 1 inch (11.913 meters) and overall height of 14 feet, 11 inches (4.547 meters). Empty weight was 13,836 pounds (6,276 kilograms) and gross weight was 24,296 pounds (11,021 kilograms). The F-86H was powered by a General Electric J73-GE-3D or -3E engine, a single-spool, axial-flow, turbojet engine, which used a 12-stage compressor section with variable inlet vanes, 10 combustion chambers and 2-stage turbine section. It produced 8,920 pounds of thrust (39.68 kilonewtons) at 7,950 r.p.m. 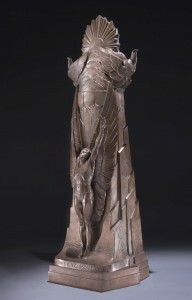 (%-minute limit). The J73 was 12 feet, 3.2 inches (3.739 meters) long, 3 feet, 0.8 inches (0.935 meters) in diameter and weighed 3,650 pounds (1,656 kilograms). 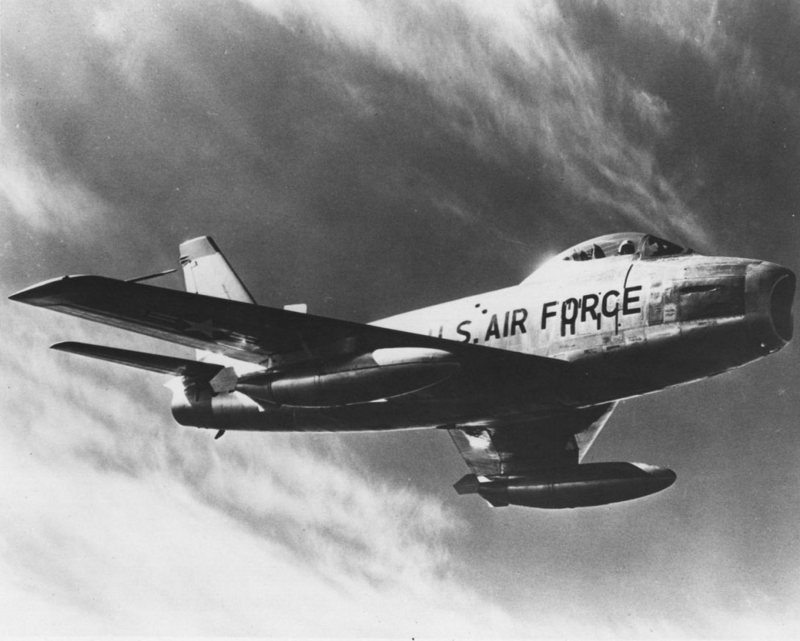 The F-86H had a maximum speed of 601 knots (692 miles per hour/1,113 kilometers per hour) at Sea Level and 536 knots (617 miles per hour (993 kilometers) at 35,000 feet (10,668 meters). The fighter bomber had an initial rate of climb of 12,900 feet per minute (65.53 meters per second) and it could reach 30,000 feet (9,144 meters) in 5.7 minutes. The service ceiling was 50,800 feet (15,484 meters). With a full load ofbombs, the F-86H had a combat radius of 350 nautical miles (402 statute miles/648 kilometers) at 470 knots (541 miles per hour (870 kilometers per hour). The maximum ferry range was 1,573 nautical miles (1,810 statute miles/2,913 kilometers). The F-86H Sabre became operational in 1954. 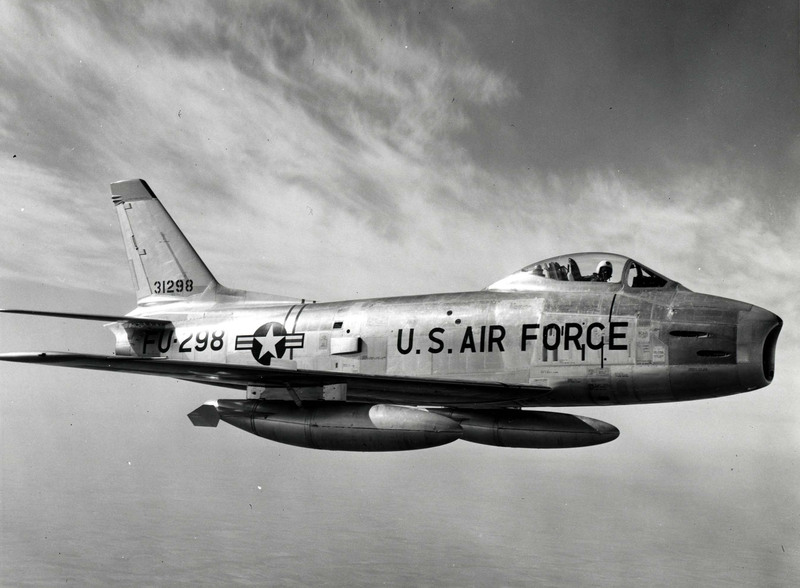 473 F-86H Sabres were built before production ended. By 1958 all that remained in the U.S. Air Force Inventory were reassigned to the Air National Guard. The last one was retired in 1972. Major Armstrong had been a fighter pilot during World War II, flying Lockheed P-38 Lightnings, initially with the 554 Fighter Training Squadron, 496th Fighter Training Group. On 13 March 1944, Armstrong made a forced landing at North Killingholme when his fighter ran out of fuel. 2nd Lieutenant Armstrong was assigned to the 79th Fighter Squadron, 20th Fighter Group based at RAF Kings Cliffe, Northamptonshire, England, 26 March 1944. 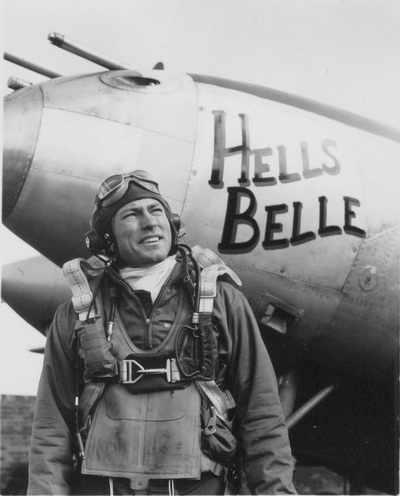 He flew the Lockheed P-38 Lightning. The 79th transitioned to the P-51 Mustang. Armstrong was promoted to first lieutenant 26 June 1944. He was officially credited with having destroyed one enemy Focke-Wulf Fw 190. On 28 August 1944, while flying his 30th combat mission, his North American Aviation P-51D-5-NA Mustang, 44-13791, Guardian Angel, was shot down by anti-aircraft gunfire while he was attacking a railway roundhouse at Bad Greuznach, Germany. Armstrong bailed out but was captured. He was held as a prisoner of war at Stalag Luft I at Barth, Western Pomerania. Armstrong was returned to U.S. military control in June 1945. Major Armstrong had been awarded the Distinguished Flying Cross, the Air Medal with five oak leaf clusters (six awards), the Purple Heart, the Prisoner of War Medal, World War II Victory Medal, and the European-African-Middle Eastern Campaign Medal. 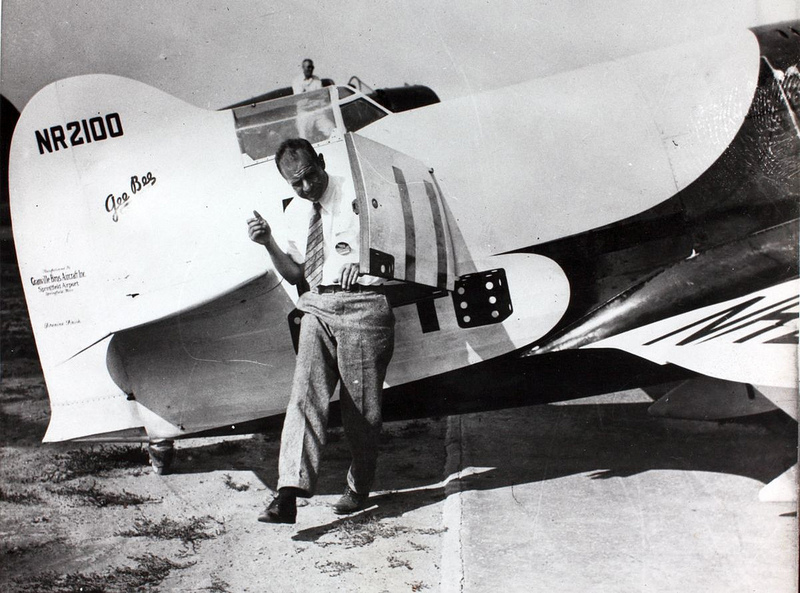 Two days after setting the speed record, Jack Armstrong was attempting to increase his record speed. 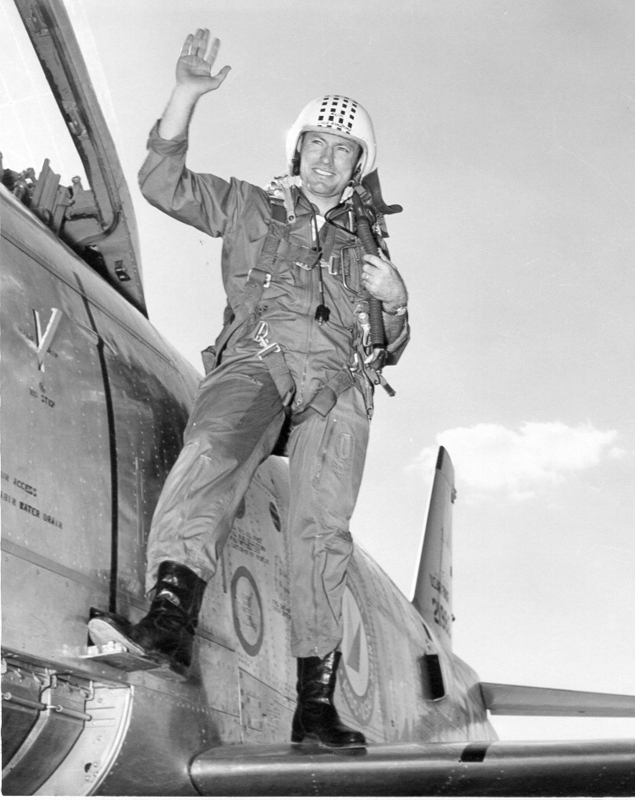 The Sabre broke up in flight and Major Armstrong was killed. John Leroy Armstrong’s remains were buried at the Loma Vista Memorial Park, Fullerton, California, 11 September 1954. 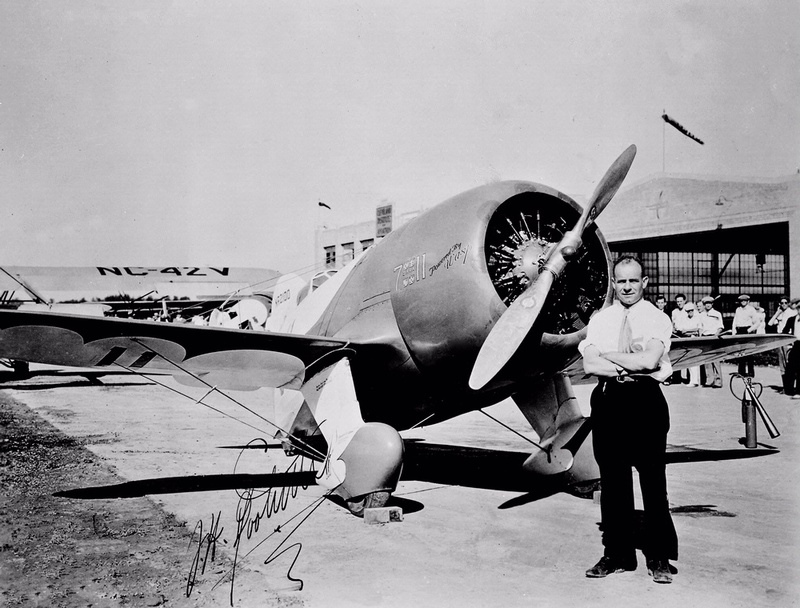 3 September 1932: At the Cleveland National Air Races, James H. (“Jimmy”) Doolittle won the Thompson Trophy Race with his Granville Brothers Aircraft Company Gee Bee Supersportster R-1, NR2100. 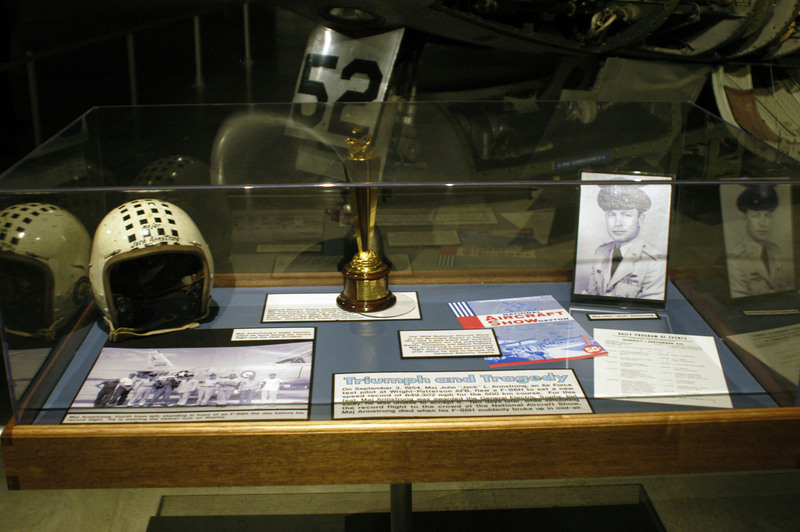 The highest speed attained by Doolittle during his four passes over the 3-kilometer course was 497.352 kilometers per hour (309.040 miles per hour). Jimmy Doolittle crosses the finish line at Cleveland, 1932. Granville Brothers Gee Bee Supersportster R-1 NR2100. 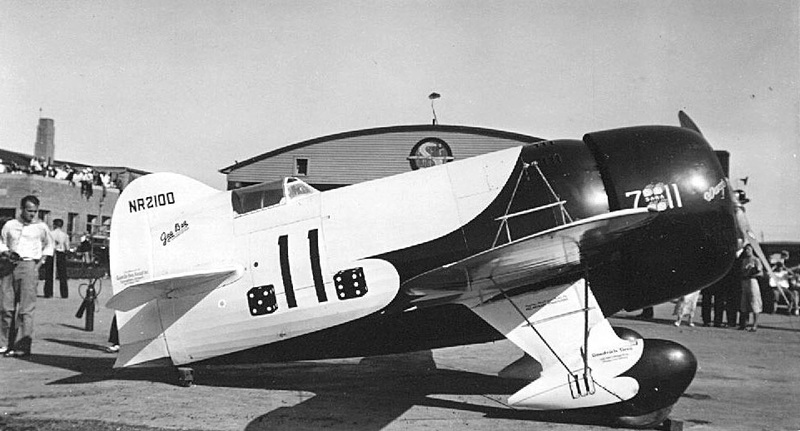 The Gee Bee Supersportster R-1 was a single-seat, single engine, low-wing monoplane with fixed conventional landing gear. The airplane had been designed for a load factor of 12. It was 17 feet, 8 inches (5.385 meters) long with a wingspan of 25 feet, 0 inches (7.620 meters), and height of 8 feet, 2 inches (2.489 meters). The fuselage had a maximum diameter 5 feet, 1 inch (1.549 meters). The wings were wire-braced. The angle of incidence was 2.5° and 4.5° dihedral. Their aspect ratio was 6:1, and the wing area was 75 square feet (7.968 square meters). The R-1 had an empty weight of 1,840 pounds (834.6 kilograms), gross weight of 2,415 pounds (1,095.4 kilograms), and maximum takeoff weight of 3,075 pounds (1,394.8 kilograms). The Gee Bee R-1 was powered by an air-cooled, supercharged, 1,343.80-cubic-inch-displacement (22.021 liter) Pratt & Whitney Wasp T3D1 nine-cylinder direct -drive radial engine. It was rated at 730 horsepower at 2,300 r.p.m. at Sea Level. The engine turned a two-bladed U.S. Smith Engineering Co. adjustable-pitch propeller with a diameter of 8 feet, 0 inches (2.438 meters). The engine was enclosed in a NACA cowling. The T3D1 was 3 feet, 6.63 inches (1.083 meters) long, 4 feet, 3.44 inches (1.307 meters) in diameter, and weighed 763 pounds (346 kilograms). Gee Bee Supersportster R-1 NR2100, #11, was later re-engined with a Pratt & Whitney Hornet. 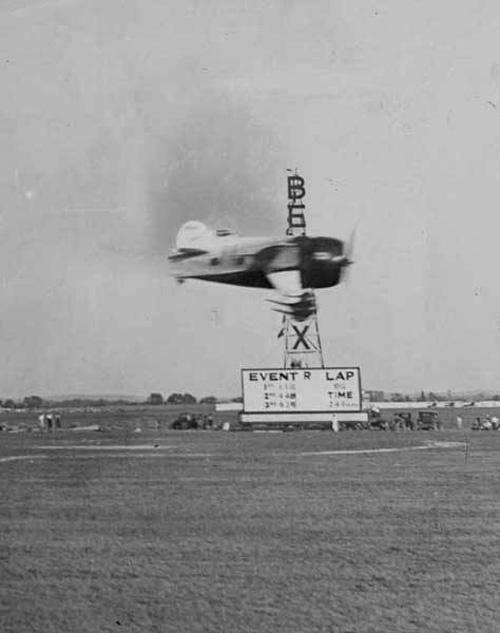 It was destroyed when it crashed on takeoff after refueling at Indianapolis, Indiana, 1 July 1933. The pilot, Russell Boardman, was killed. Jimmy Doolittle was one of America’s foremost pioneering aviators. 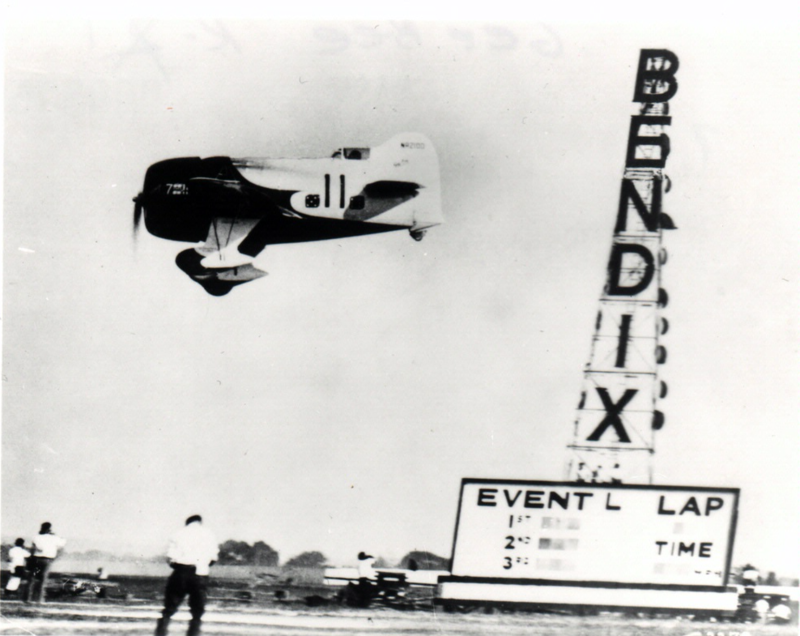 He set many records, won air races, tested and developed new flying equipment and techniques. He was a highly-educated military officer, having earned his Bachelor of Arts from the University of California Berkeley School of Mines, and M.S and D.Sc. degrees in Aeronautical Engineering from the Massachusetts Institute of Technology. During World War II Colonel Doolittle planned and led the famous Halsey-Doolittle Raid against Japan, 18 April 1942, for which he was awarded the Medal of Honor. As a brigadier general, Doolittle commanded the Twelfth Air Force in North Africa. Promoted to major general, he was given command of the Fifteenth Air Force in the Mediterranean Theater. 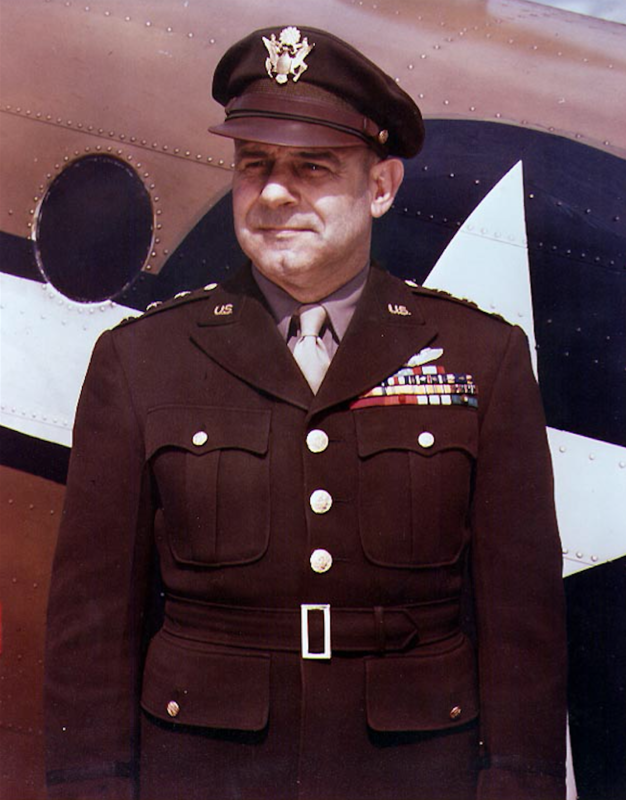 From 1943 until 1945, Lieutenant General Doolittle commanded Eighth Air Force. He was preparing his command to move against Japan, equipped with Boeing B-29 Superfortress bombers, when World War II came to an end. After the war, Lieutenant General Doolittle was placed on the inactive list. 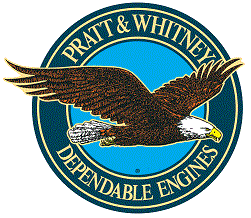 On 4 April 1985, by Act of Congress, James H. Doolittle was promoted to General, United States Air Force. General James Harold Doolittle is the only person to be awarded both the Medal of Honor and the Medal of Freedom. He died 27 September 1993 at the age of 96 years. He was buried at the Arlington National Cemetery, Arlington, Virginia.